How Much Does the 2019 Honda CR-V Cost? How Many MPG Does the 2019 Honda CR-V Get? What’s New for the 2019 Honda CR-V? As one of the best-selling nameplates in automobile history, the Honda CR-V keeps on truckin’ with the 2019 model year. The 2019 CR-V is available in LX, EX, EX-L, EX-L w/Navi and Touring trims. Designed to be more fuel-efficient than ever before, the midsize SUV is fitted with a 2.4-liter inline 4-cylinder engine that provides 184 horsepower and 180 lb-ft of torque, with an Eco Assist system to conserve energy by shutting down less essential powertrain functions. With two rows for five people, the 2019 CR-V offers up to 105.9 cubic feet in passenger volume. For a driver’s seat with 12-way power and 4-way power lumbar support. Front-seat heating is introduced on the mid-tier EX; and 4-way power on the front passenger seat, leather trim, and driver-seat two-position memory appear on the EX-L.
For audio and connectivity, the 2019 CR-V starts off with four-speaker 160-watt stereo with a 7-inch display screen. 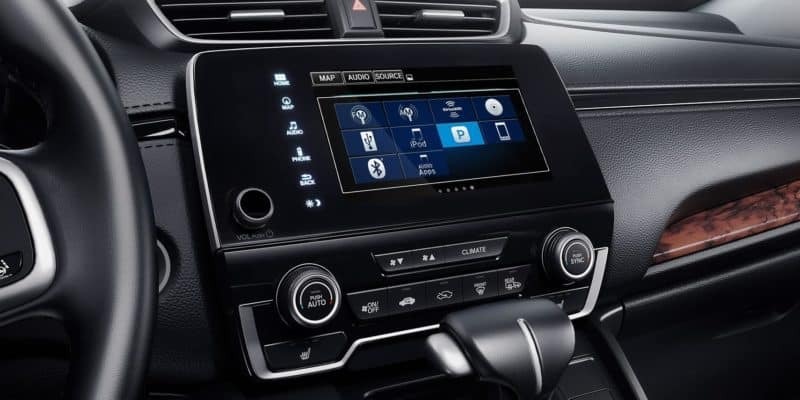 The EX is upgraded with an 8-speaker 180-watt stereo system with 8-inch high-resolution color touchscreen, HondaLink infotainment integration, and Apple CarPlay and Android Auto for smartphone control. Added on the EX are HD Radio and a trial SiriusXM radio subscription, and the EX-L and Touring have a 10-speaker 450-watt sound system. More convenience and comfort are provided by Bluetooth connectivity, hands-free texting ability, dual-zone automatic climate control, push-button start, and Active Noise Cancellation technology. Remote vehicle start is introduced to the CR-V at the EX trim level. The EX-L gets an additional garage-door opener and auto-dimming on the rearview mirror. And exclusive to the Touring are features like mobile hotspot capability, wireless charging ability, 8-inch color touchscreen navigation, and HondaLink remote access. For safety, the 2019 Honda CR-V has several features, which include hill start assist, vehicle stability assist with traction control, four-wheel anti-lock disc brakes with electronic brake distribution and brake assist, a multi-angle rearview camera, collision mitigation braking, road departure mitigation, forward collision warning, lane departure warning, lane keep assist, adaptive cruise control, and eight airbags. A blind spot information system—which includes a cross-traffic monitor—is added on the EX trim and higher. 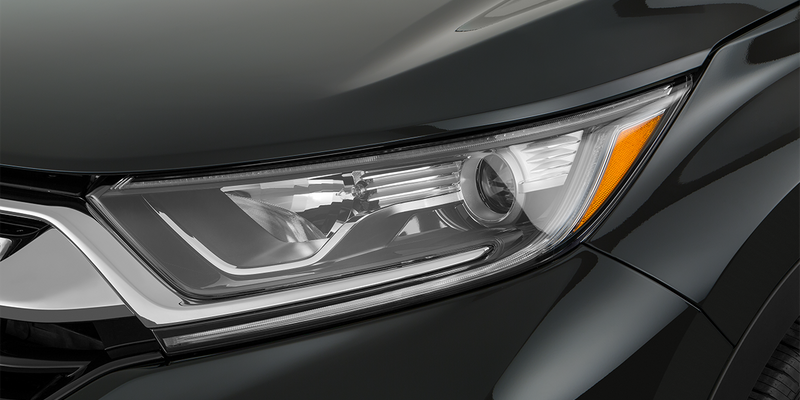 And a head-up display to reduce distraction is added on the Touring. To check out the completely redesigned CR-V, give us a call today to set up an appointment at our dealership at Hagerstown, Maryland. Since 1990, we have been providing high-quality vehicles to residents in Hagerstown, Frederick, and surrounding towns and cities. Stop by our 15-acre complex to meet with one of our Honda specialists and test-drive the 2019 CR-V–and pick the car that fulfills your preferences. *Price shown does not include Destination and Handling fee. **Based on model year EPA mileage ratings. Use for comparison purpose only. Your mileage will vary depending on driving conditions, how you drive and maintain your vehicle, battery-package/condition, and other factors.